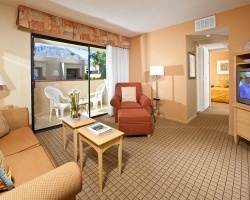 *Desert Vacation Villas* reflects the charm of old Palm Springs with its retro pool and Jacuzzi! Drive to the many nearby golf courses or tennis courts. Hiking, Jeep tours, and horseback riding are ways to explore the Indian Canyons. 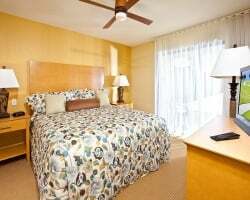 Only minutes away are the spectacular Aerial Tramway or the Spa Casino. The Fabulous Palm Springs Follies runs from October to May. Every Thursday evening downtown closes for the Village Fest. On-site activities include barbecues, bicycles, and Ping Pong. All rooms have DVD and VCR players. With membership, exchanges for 42 K Rci points! Buyer may receive a title fee credit, inquire for details! Floating week in Palm Springs! Annual Floating Week in White Season. Motivated Seller, All Reasonable Offers Considered! Beautiful Southwest Resort! 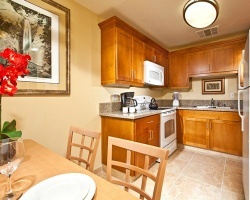 Located near downtown Palm Springs! Annual floating red season week! 2017 Maintenance fees are paid! Inquire for details! Beautiful desert resort! Only a short walk to downtown! Pick your vacation dates with an annual floating week! Inquire for details! Price Reduction! Now$1,750. Looking for a Quick Sale. No Gimmicks. Best Season of the year. Sep to Dec. 2017 Maintenance Fees Are already Paid. Beautiful southwest resort! Walk to downtown Palm Springs! Yearly usage in Red season week! Make your offer! Ideal location for golf lover's! Buyer May Receive A Title Fee Credit, Inquire For Details! $6,000 Or Best Offer!!! Beautiful resort with a stunning desert landscape! Floating week! Buyer may receive a title fee credit, inquire for details! Stunning resort with beautiful desert scenery! Buyer may receive a title fee credit, inquire for details! Price Negotiable! Enjoy wonderful vacations in Southern California each year! floating week! Buyer may receive atitle fee credit, inquire today!